Once upon a time, hanging out was all about the not-so-optimistic aspect of hangings and people venturing out to see them happen. But the world’s been changing in a lot of different ways and so has the essence of ‘hanging out’. 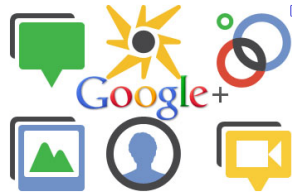 So much so that in the last two years, after Google came up with their now famous offering Hangout, we’ve associated it with social interactions at their languid best. So much so that even matters of business call to be played out in an environment of engaging and sharing. At this precise moment, there are many brands (and by brands I don’t just mean companies) out there making Google Hangout their speak-buddy. So, here I am scribbling away – mainly to answer the ‘why’. Much of human existence is shaped by issues in the world of politics, business, education, arts and culture. A primary reason why many of today’s brightest minds and top leaders choose to reach out to the world like never before. And Google Hangout seems to be playing a grand role in that scheme of things. 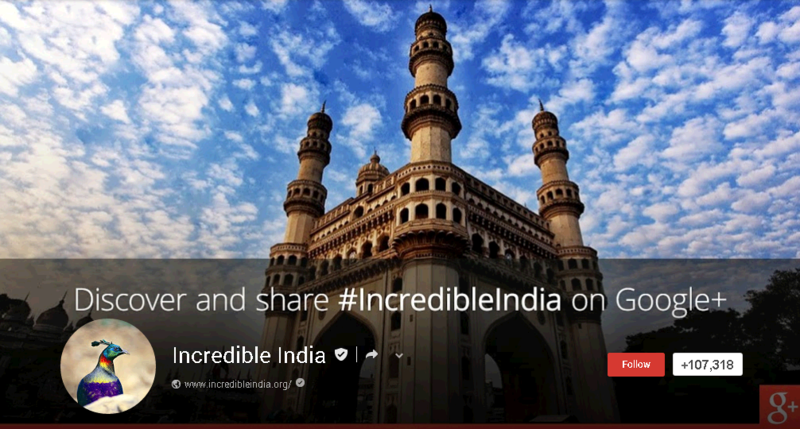 Consider the way Gujarat Chief Minister Narendra Modi was part of the Google Big Tent Activate Summit 2013. The summit that focused on the power of the web and its ability to shape up India’s future in terms of politics, governance, economics, business, education and media. Another tech-savvy politician to have utilized the flexibility provided by Google Hangout is Shashi Tharoor. The Union Minister of State for HRD held a Hangout session in May where he welcomed questions on the future of higher education in India. From issues concerning faculty shortage to the dearth of accredited educational institutions, Tharoor threw light on various topics through this Hangout session. 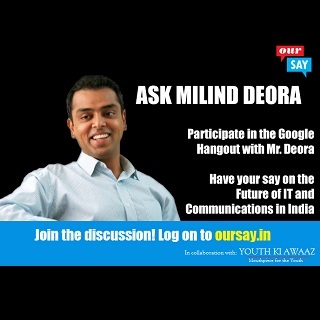 And if that’s not enough, Milind Deora, Minister of State, IT, Communications and Shipping, has done it too. He conducted a Hangout session in June this year, the agenda of which was to discuss the future of IT and communications in India.In this interaction, the minister shared his views on a variety of issues concerning the digital generation – from electoral funding to tower radiation. This particular Hangout was moderated by TV anchor Cyrus Broacha. 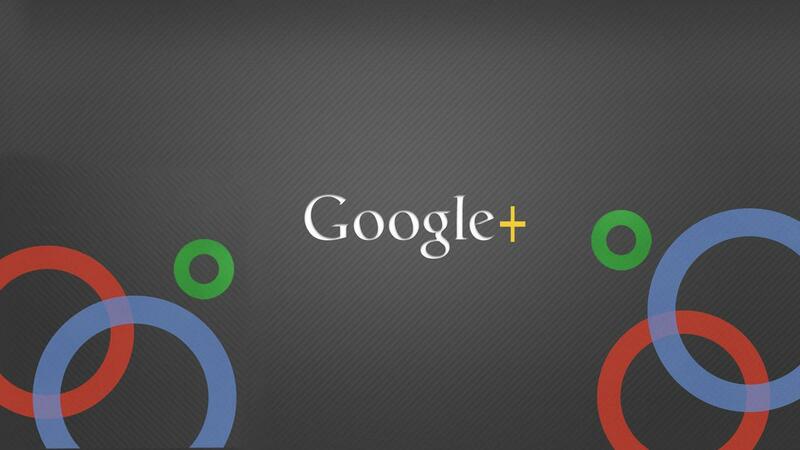 A platform like Google Hangout is often just the kind brands need to say what they have been doing best. It especially makes sense to bring brand loyalists together, powered by the flight of a recent initiative. Just like what Garnier Men India did by organizing a Google Hangout session in April this year. This particular Hangout had cricketing geniuses Rahul Dravid, Kumara Sangakkara, VVS Laxman and Krishnamachari Srikanth answering questions on their game. But what this live discussion centered on was how the cricketers approached grooming in their respective teams and their intention to support Garnier Men India’s ‘Powerlight a Village’ initiative. Talk of grooming and that’s what drives the Garnier Men brand forward. However, the brand backs this central idea with its social responsibility efforts.’Powerlight a Village‘ is a campaign aimed at speeding up the process of electrification across villages in India that still dwell in darkness. 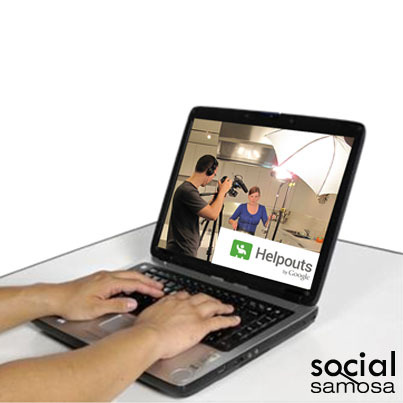 Even TV programs have come to realize how effective a single Hangout session can turn out to be. Consider what the makers of ‘Band Baajaa Bride’, which airs on NDTV Good Times, did in April this year. The live session had well-known Indian designer Sabyasachi Mukherjee and Ambika Anand, editor-in-chief, fashion, NDTV Good Times, answer questions on Indian fashion. ‘Band Baajaa Bride’ is a makeover show that has been responsible for giving a dream makeover to many Indian brides. Data, data everywhere, too much to drink. Considering technology has been shrinking the size of the world at the speed of light, too much information is being made available. What this really means is that there is enough knowledge and more for all of us to tap into. 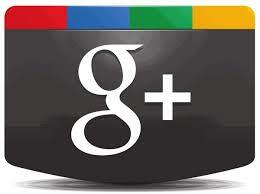 And the good thing is that platforms like Google Hangout make that possible in a seamless way. Consider how the India chapter of International Advertising Association (IAA) has roped in Sanjeev Kapur, CMO and Head of Customer Franchise Management, to conduct a webinar in November this year. The theme of the discussion at this webinar will be ‘World Goes Digital‘. Here Kapur, based on years of experience, will talk on how the digital platform can be used best. This isn’t the first time IAA is conducting a Hangout session on the given theme. The association began its webinar sessions in April with Rajan Anandan, Head, Google India. Along the way, it went on to invite other bigwigs like Ajit Balakrishnan and Nishant Rao so that they could share their knowledge on the digital age. The National Planning Commission of India held a Google hangout earlier this year in March which was attended by Dr. Montek Singh Ahluwalia, Sam Pitroda and many more Planning Commission members. It shared information on what the Planning commission does and various activities it executes. 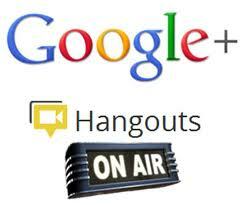 There will always be plenty that can be attributed to a platform as flexible as Google Hangout. If you think you’ve got to say something, you can join the A-list too. Remember, the world is watching you.